2017 is upon us and that means some of you may be going into your annual review or thinking about your career after graduation. Today's guest blogger, Toshi Takeuchi used machine learning on a job-related dataset for predictive analytics. Let's see what he learned. Big Picture - How Bad Is Turnover at This Company? Defining Who Are the "Best"
Defining Who Are the "Most Experienced"
Companies spend money and time recruiting talent and they lose all that investment when people leave. Therefore companies can save money if they can intervene before their employees leave. Perhaps this is a sign of a robust economy, that one of the datasets popular on Kaggle deals with this issue: Human Resources Analytics - Why are our best and most experienced employees leaving prematurely? Note that this dataset is no longer available on Kaggle. This is an example of predictive analytics where you try to predict future events based on the historical data using machine learning algorithms. When people talk about predictive analytics, you hear often that the key is to turn insights into action. What does that really mean? Let's also examine this question through exploration of this dataset. The Kaggle page says "our example concerns a big company that wants to understand why some of their best and most experienced employees are leaving prematurely. The company also wishes to predict which valuable employees will leave next." Let's load it into MATLAB. The new detectImportOptions makes it easy to set up import options based on the file content. We will then hold out 10% of the dataset for model evaluation (holdout), and use the remaining 90% (train) to explore the data and train predictive models. The first thing to understand is how bad a problem this company has. Assuming each row represents an employee, this company employs close to 14999 people over some period and about 24% of them left this company in that same period (not stated). Is this bad? Turnover is usually calculated on an annual basis and we don't know what period this dataset covers. Also the turnover rate differs from industry to industry. That said, this seems pretty high for a company of this size with an internal R&D team. When you break it down by job function, the turnover seems to be correlated to job satisfaction. For example, HR and accounting have low median satisfaction levels and high turnover ratios where as R&D and Management have higher satisfaction levels and lower turnover ratios. Please note the use of new functions in R2016b: xticklabels to set x-axis tick labels and xtickangle to rotate x-axis tick labels. We are asked to analyze why the best and most experienced employees are leaving. How do we identify who are the "best"? For the purpose of this analysis, I will use the performance evaluation score to determine who are high performers. 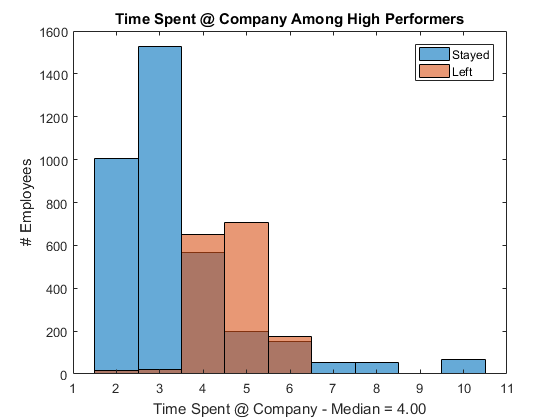 As the following histogram shows, employees with lower scores as well as higher scores tend to leave, and people with average scores are less likely to leave. The median score is 0.72. Let's say anyone with 0.8 or higher scores are high performers. Among high performers, the company is particularly interested in "most experienced" people - let's use Time Spent at Company to measure the experience level. The plot shows that high performers with 4 to 6 years of experience are at higher risk of turnover. Let's isolate the at-risk group and see how their job satisfaction stacks up. It is interesting to see that not only people with very low satisfaction levels (no surprise) but also the highly satisfied people left the company. 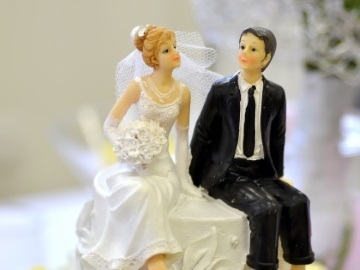 It seems like people with a satisfaction level of 0.7 or higher are at an elevated risk. Let's isolate high performing seasoned employees and check their salaries. It is clear that people who get a higher salary are staying while people with medium or low salary leave. No big surprise here, either. At this point, you may say, "I knew all this stuff already. I didn't get any new insight from this analysis." It's true, but why are you complaining about that? Predictability is a good thing for prediction! What we have seen so far all happened in the past, which you cannot undo. However, if you can predict the future, you can do something about it. 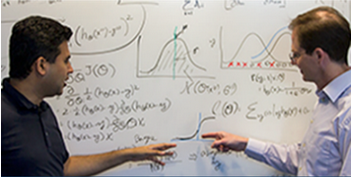 Making data actionable - that's the true value of predictive analytics. In order to make this insight actionable, we need to quantify the turnover risk as scores so that we can identify at-risk employees for intervention. Since we are trying to classify people into those who are likely to stay vs. leave, what we need to do is build a classification model to predict such binary outcome. I have used the Classification Learner app to run multiple classifiers on our training data train to see which one provides the highest prediction accuracy. The winner is the Bagged Trees classifier (also known as "Random Forest") with 99.0% accuracy. 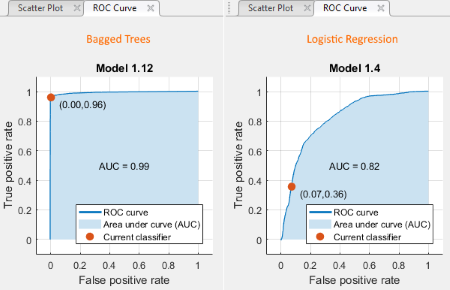 To evaluate a classifier, we typically use the ROC curve plot, which lets you see the trade-off between the true positive rate vs. false positive rate. If you have a high AUC score like 0.99, the classifer is very good at identifying the true class without causing too many false positives. 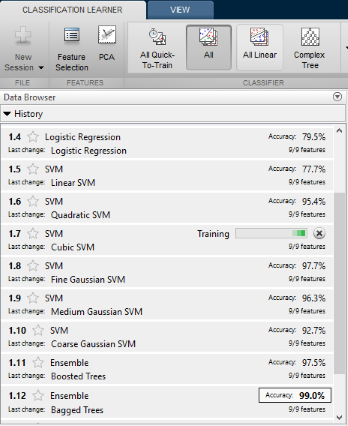 You can also export the trained predictive model from the Classification Learner. I saved the exported model as btree.mat that comes with some instructions. Let's pick 10 samples from the holdout data partition and see how the predictive model scores them. Here are the samples - 5 people who left and 5 who stayed. They are all high performers with 4 or more years of experience. Now let's try the model to predict whether they left the company. The model was able to predict the outcome of those 10 samples accurately. In addition, it also returns the probability of each class as score. You can also use the entire holdout data to check the model performance, but I will skip that step here. We can use the probability of leaving as the risk score. We can select high performers based on the last evaluation and time spent at the company, and then score their risk level and intervene in high risk cases. In this example, the sales employee with the 0.92 evaluation score is 100% at risk of leaving. Since this employee has not been promoted in the last 5 years, perhaps it is time to do so. 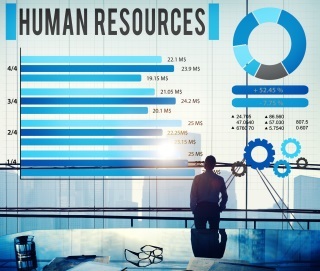 Machine learning algorithms used in predictive analytics are often a black-box solution, so HR managers may need to provide an easy-to-understand explanation about how it works in order to get the buy-in from their superiors. 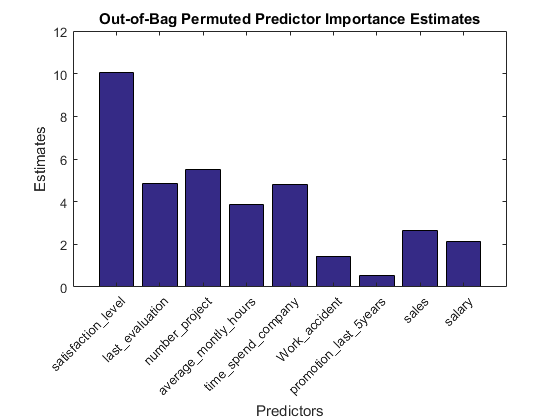 We can use the predictor importance score to show which attributes are used to compute the prediction. 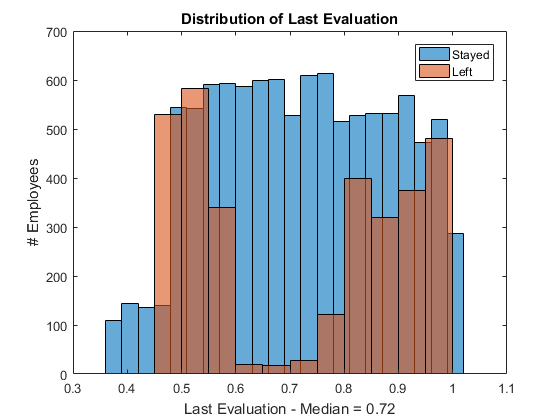 In this example, the model is using the mixture of attributes at different weights to compute it, with emphasis on the satisfaction level, followed by the number of projects and time spent at the company. We also see that people who got a promotion in the last 5 years are less likely to leave. Those attributes are very obvious and therefore we feel more confident about the prediction with this model. The predictor importance score also give us a hint about when we should intervene. Given that satisfaction level, last evaluation, and time spent at the company are all important predictors, it is probably a good idea to update the predictive scores at the time of each annual evaluation and then decide who may need intervention. 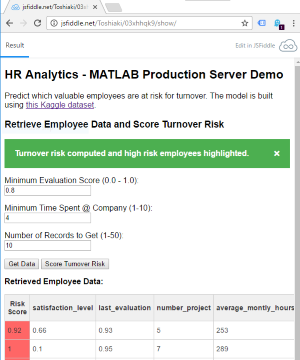 It is feasible to implement a system to schedule such analysis when a performance review is conducted and automatically generate a report of high risk employees using the model derived from MATLAB. Here is a simple live demo of such a system running the following code using MATLAB Production Server. It uses the trained predictive model we just generated. The example code just loads the data from MAT-file, but you would instead access data from an SQL database in a real world use scenario. Please also note the use of a new function jsonencode introduced in R2016b that converts structure arrays into JSON formatted text. Naturally, we also have jsondecode that converts JSON formatted text into appropriate MATLAB data types. Often, you would need to retrain the predictive model as human behavior changes over time. 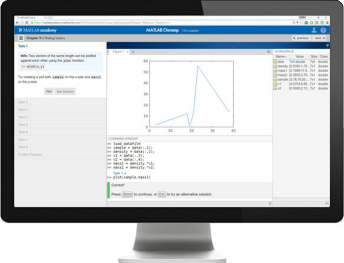 If you use code generated from MATLAB, it is very easy to retrain using the new dataset and redeploy the new model for production use, as compared to cases where you reimplement the model in some other languages. In the beginning of this analysis, we explored the dataset which represents the past. You cannot undo the past, but you can do something about the future if you can find quantifiable patterns in the data for prediction. 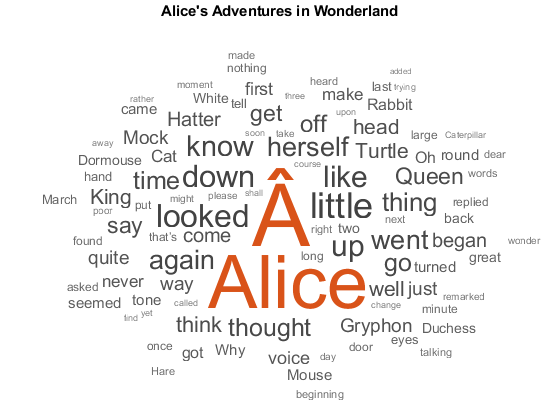 People often think the novelty of insights is important. What really matters is what action you can take on them, whether novel or well-known. If you do nothing, no fancy analytics will deliver any value. Harvard Business Review recently publushed an article Why You’re Not Getting Value from Your Data Science but failed to mention this issue. In my opionion, analysis paralysis is one of the biggest reason companies are not getting the value because they are failing to take action and are stuck at the data analysis phase of the data science process. Has this example helped you understand how you can use predictive analytics to solve practical problems? Can you think of way to apply this in your area of work? Let us know what you think here. A really interesting post, thank you. 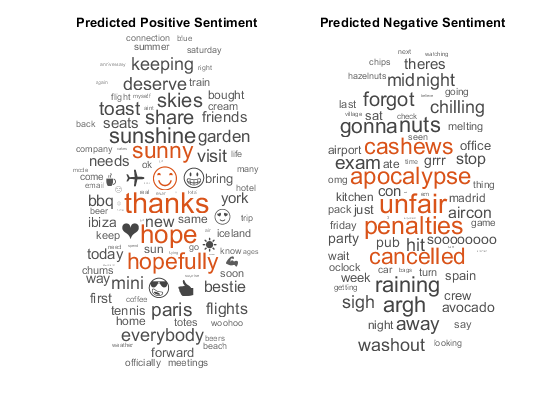 It would be good to see more posts on predictive analytics. Thanks Ethan, you are right about turnover rate calculation. Since there is no dates in the data, I couldn't find a way to compute how many people left during a single year and how many people remained at the start and the end of a single year. So I made an assumption that the dataset comes from a certain date range and rate was calculated based on that assumption. David, predictive analytics" comes in different name in different industries. I just used HR as an example because many of us have experience working for a company at some point and you don't need special expertise to understand the analysis. In finance, people may call it credit scoring or fraud detection, customer churn analytics in telecom, or predictive maintenance in automotive or industry automation and machinery. Retailers may use it for supply chain management and pricing or product recommender system for ecommerce. 1) they all use historical data to predict fututre outcomes, 2) they are operationalized to change the future outcomes 3) they are all based on some machine learning algorithms. In many enterprises people stop the workflow in half-way - they just produce BI dashboard for executives. You can't call it predictive analytics if you don't go further and operationalize it by integrating the intelligent system into business operation. Toshi, you are spot on with "in many enterprises people stop the workflow half-way". I see this happen at my company and is something I would like to start to change. Why do you think people stop short? Lack of tool expertise? Lack of time? Lack of vision? Lack of senior buy-in? Thanks Toshi. We already work very closely with David Sampson and the UK consulting team. To date we have been working on other things (such as https://blogs.mathworks.com/community/2016/11/23/the-matlab-store-at-jaguar-land-rover/) and have only run one small machine learning consulting project but I expect it is an area we can explore further in the future. I look forward to reading your future posts on this topic.